Are you driving soon to Bury city centre? Need parking for when you get there? Then you have come to the right place! With ParkVia, you can find all the Bury city centre parking you need in just a few clicks of the mouse button. Finding a space is fast and simple. The car park comes with CCTV for your safety and security as well as lifts. It also comes equipped with parking spaces for disabled persons and parking for motorbikes. So when you need Bury city centre parking remember to choose ParkVia where booking parking is fast and simple. How do I book my Bury city centre parking? Finding Bury city centre parking is fast and simple when you choose parking through the ParkVia website. To book your space, first, add the dates and times that you need and then hit the ‘search’ button. Following this you will then be presented with a list of car parks to choose from. After this you’ll need to make your choice - once that’s done you’ll be taken to a booking form page. Now just fill out this form to complete your booking. When your booking is made just wait for your confirmation to come through, which you will receive via text message and email. Bury is a town in Greater Manchester, England, on the River Irwell, 5.5 miles east of Bolton, 5.9 miles west-southwest of Rochdale, and 7.9 miles north-northwest of Manchester. Bury is a town in Greater Manchester, England, on the River Irwell, 5.5 miles east of Bolton, 5.9 miles west-southwest of Rochdale, and 7.9 miles north-northwest of Manchester. 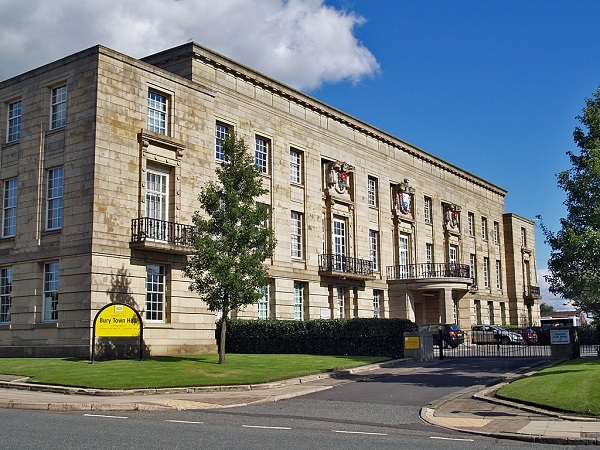 Historically part of Lancashire, Bury emerged in the Industrial Revolution as a mill town manufacturing textiles. Bury is known for the open-air Bury Market and the local traditional dish, black pudding. The Manchester Metrolink tram system terminates in the town.